Jophiel: The Beauty of God. 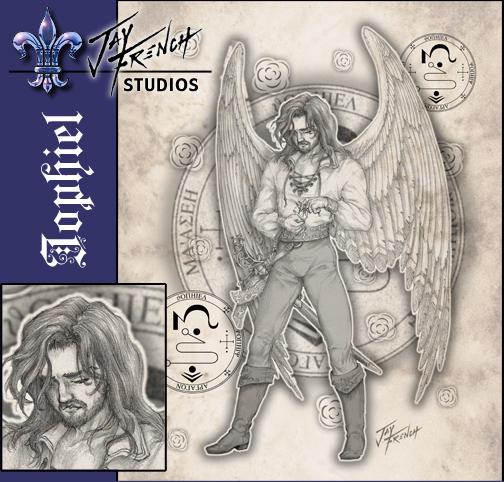 Patron angel of artists & beauty, he provides inspiration and illumination. Since he IS the patron of artists, I decided to use my own face for this one (although prettied up a bit)! Click the image to view merchandise with "Jophiel"